As we are working on our Cure Tooth Decay diet, we are also trying to take care of our teeth better. I can get lazy with Baby E on brushing her teeth sometimes. Though I realize what she eats will affect her teeth the most, good hygiene can't hurt - if you use non-toxic toothpaste that is. 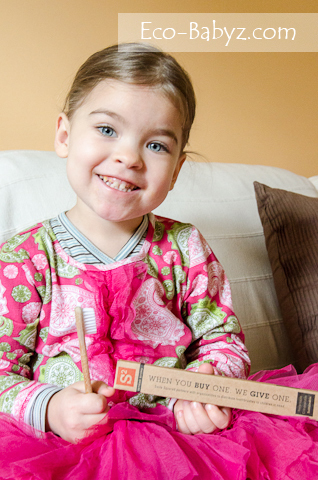 We were overdue for new toothbrushes, so it was timely to be contacted by Smile Squared to review their bamboo toothbrushes for the whole family. One of the unique things about Smile Squared is that for each toothbrush you buy, they donate one to a child in need who does not have any dental hygiene necessities. 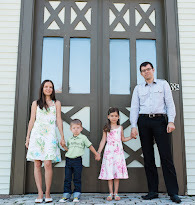 You can read more about their story here. 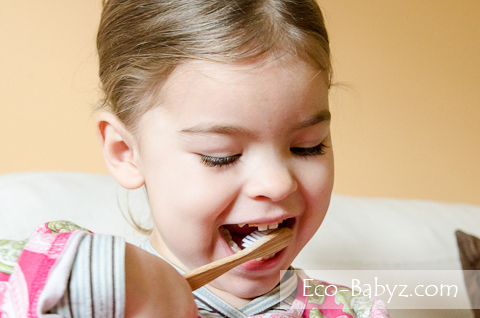 We love the simple design of this Eco-friendly bamboo toothbrush. The great thing is, bamboo is naturally antibacterial, unlike plastic. This is the perfect material for a toothbrush. It's simple, modern, effective. What more do you need in a toothbrush? It is made with soft DuPont bristles and packaged in a recyclable box. By significantly reducing the amount of plastic used for the toothbrush and packaging, it alleviates the aggravated environmental situation caused by millions of plastic toothbrushes in landfills. A single Smile Squared toothbrush costs $5.95, a double pack $10.95, and a six pack is $29.95. Keep in mind that when say you are buying two toothbrushes, you are actually buying four and donating 2 of them to children who need them! Maybe you don't need a toothbrush? You can just donate two through their website at the cost of $5.95. A little will go a long way for a child. 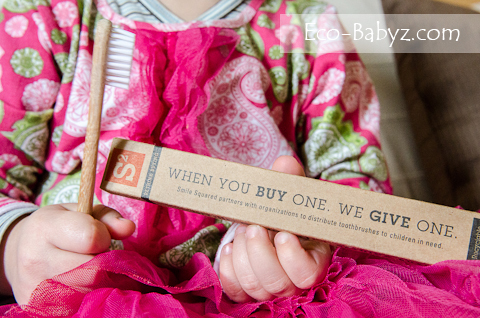 Help this great company reach their goal of donating 1 million toothbrushes in 3 years! Most excited about the little heater. All great giveaways! I love that they donate one to children in need :) These look awesome!